Research conducted earlier this year by Twitter and analytics firm Annalect shows that users trust social media influencers almost as much as they trust their friends. Surprised? You shouldn’t be. Influence marketing has always played a massive part in customer buying choices. In the US, Wheaties have included athletes on their cereal boxes since 1934 whilst in the UK, famous English footballer Gary Lineker has been the face of Walkers Crisps for over two decades now. However, brands have realised as the digital world evolves, so does influence marketing. Influence marketing has now moved from offline to online activities as household names on cereal boxes have been replaced by social media personalities promoting a product on their Twitter account. As online influencers become more trusted, one big question is posed by many. How do you measure online influence? This article will look at some of the important characteristics that make an influencer “trustworthy”. 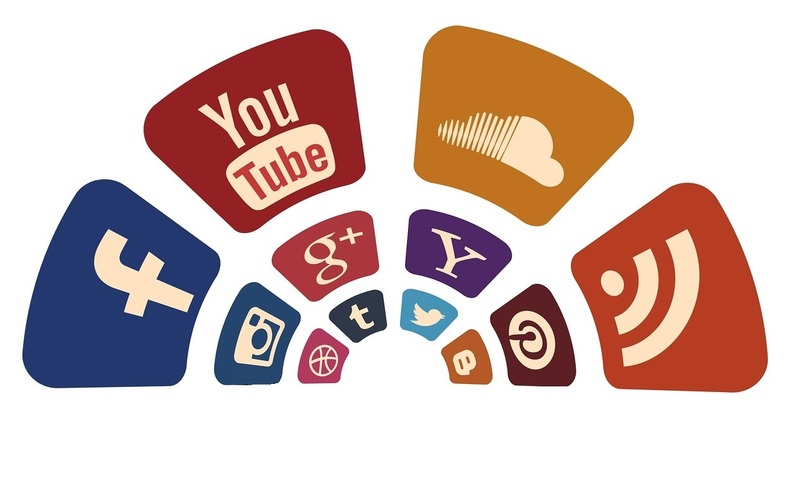 How can you measure online influence? 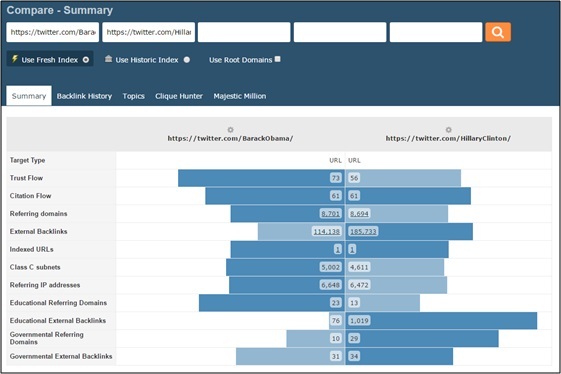 Majestic’s Flow Metrics are commonly known to find out how trustworthy a website is but they are also a good way to measure a Twitter accounts influence. Flow Metrics are unique measures determined and created by Majestic. The scores flow through the entire web and use a logarithmic scale. Flow Metrics are expressed as numbers between 0 and 100, the higher the number, the stronger the signal. Flow Metrics measure both Trust Flow and Citation Flow. For example, if I wanted to find out how influential someone like Barack Obama is on Twitter, I would enter his username into Majestic’s Site Explorer and this would appear. Immediately, I find out how influential his Twitter account is and I also find out what topics he is influential in. No surprise, his most influential topic is Society / Government. So, as I now know how to find out how influential a Twitter account is, can I compare this account against a fellow influencer in the same topic? By using Majestic’s compare tool, I can see how trustworthy Barack Obama is in comparison to his potential replacement, Hillary Clinton. At this moment in time, Barack Obama has a much higher Trust Flow in comparison to Hillary Clinton however she has more Governmental Referring Domains linking to her account (Traditionally Governmental Websites). I’d imagine Hillary Clinton’s numbers will fluctuate as the election nears, and Barack Obama’s Trust Flow score will likely decrease in the next year or so as he will no longer be president. So, it’d be pretty good to keep track of how Hillary Clinton’s Trust Flow will increase or decrease in the upcoming months, right? Using Majestic’s Tracking Reports, I can find out how often Hillary Clinton’s Trust Flow increases/decreases on a daily basis. 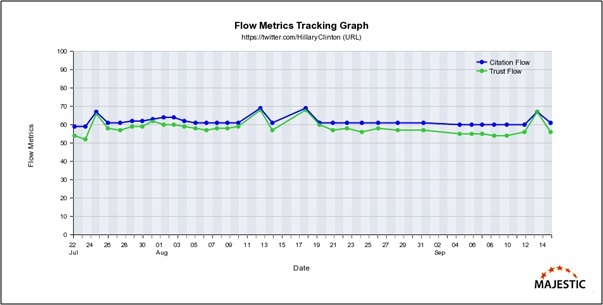 As you can see here, during the 2016 Democratic National Convention and the aftermath of the 9/11 memorial, Hillary Clinton’s Trust Flow rose to the mid and late 60’s and it then dropped off after it finished. Twitter Trust Flow fluctuates a lot so it is not disastrous if Hillary Clinton’s Trust Flow has dropped by 5 or so. For example, when her Trust Flow reached mid and late 60’s, you can look into the analysis and see it was most likely because her Twitter was on one of the first pages of a major news website encourage traffic and thus links, passing Trust, to her profile. However, after a few days, as you would expect in the world of news, the account isn’t featured on the front page so the increase in links drops. Will Hillary Clinton’s Trust Flow reach the levels of Barack Obama’s by the time the election results come in? It’s going to be an incredibly interesting election and have an impact on backlinks. You can keep track of it using Majestic! Useful features indeed. The analyse is the most important part of the process. And if you have the opportunity to get the correct information it will help to make the right conclusions. Thanks for sharing! Most of the site talks about site level SEO. Now, Google focus more on adwords, what is the point of focusing on site level SEO. When more money spent on adwords, what does it makes to spend more time on website seo?